Evolution Toy has updated their blog with the color version of their upcoming Fullpuni! Yamatobe Tomo from the breast sucking manga/anime The Qwaser of Stigmata. 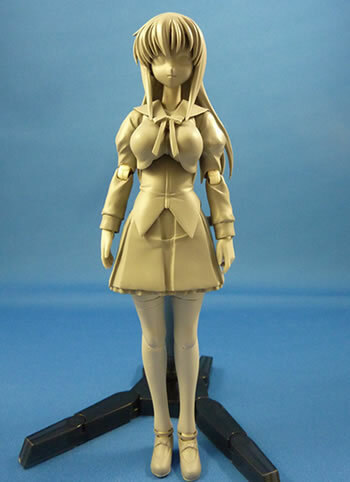 She was on display at Wonder Festival last week, but still unpainted that day. 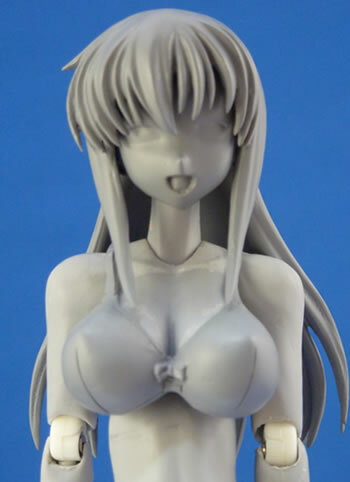 There are not much info given about her yet, but I think the price will be around 8,800 yen. According to the picture below, she is fully cast-offable. Seems like Evolution Toy is doing a good job making castoffable action figure. The blog also have some preview of Aoi Aki from the ero manga/OVA Aki Sora!